L’Vovo is wearing a black and white spottie. It’s got various typography on it with words like “life” prominently placed. 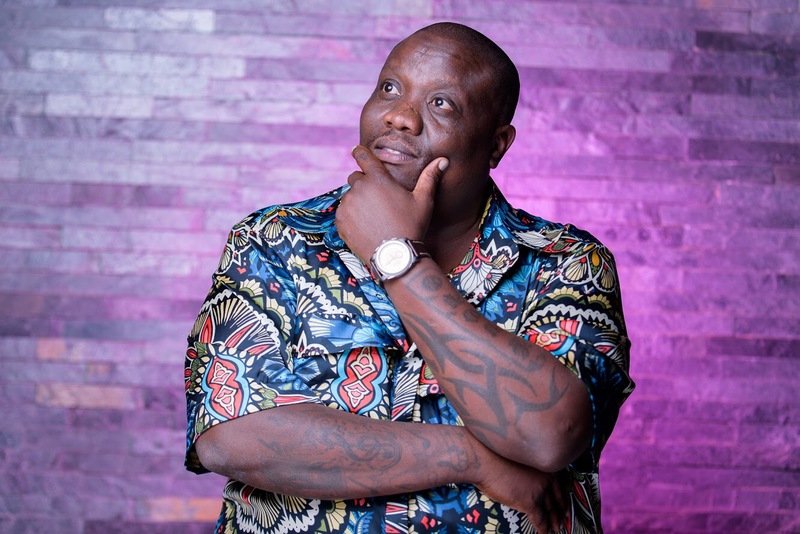 And what a serendipitous life the Durban kwaito star has led. Born Thokozani Ndlovu and bred in Newcastle and Durban, L’Vovo always knew he was going to be Somebody. “Way before music and everything, I just had that think that I want to work with people but I didn’t know how,” he shares. Having heard L’Vovo be the host with the most, Zakes approached him to say he had a beat that would be perfect for him. “I wasn’t taking it seriously because I didn’t have plans for music,” says L’Vovo. Then Bayang’sukela (Resista) was born and it became one of the biggest songs of 2007. It also catapulted Durban Kwaito to unimaginable heights. A few albums and many awards later, L’Vovo and Zakes parted ways and L’Vovo attempted the independent route before he signed to Mabala Noise. Now he has released Iyavaya, an infectious single featuring Dr Malinga and Professor. He says initially, the song didn’t feature his frequent collaborator, Professor, but once he heard it, he couldn’t help but jump on it. The song is about hot songs and the winning spirit.